I grew up loving my great-grandma Leola D. Merrill, so much that I have always wanted to name a daughter after her. She passed away when I was younger, and I have yearned to know more about her but just started in on my family history this year. I asked my aunt, grandpa, and mom to share any histories they have from her and they all said they’d look around and write their memories down. Then yesterday my mom came across (by total chance) a box of cassette and video tapes she had recorded of my grandma Leola sharing the story of her life, stories about living on a farm, the story of her baptism, the story behind the family cabin she and her husband built at Bear Lake that we all continue to visit each summer, and recordings of my maternal grandparents telling stories from their lives as well. In one of the recordings it says she is 90 and she is very old and frail; it may be the last recording of her during her lifetime. I cannot help feeling like it is a blessing to my family right now, especially my mom and me, directly from Father in Heaven! I feel so grateful! I look forward to helping digitize and transcribe these recordings when I am in Washington with family in late February. 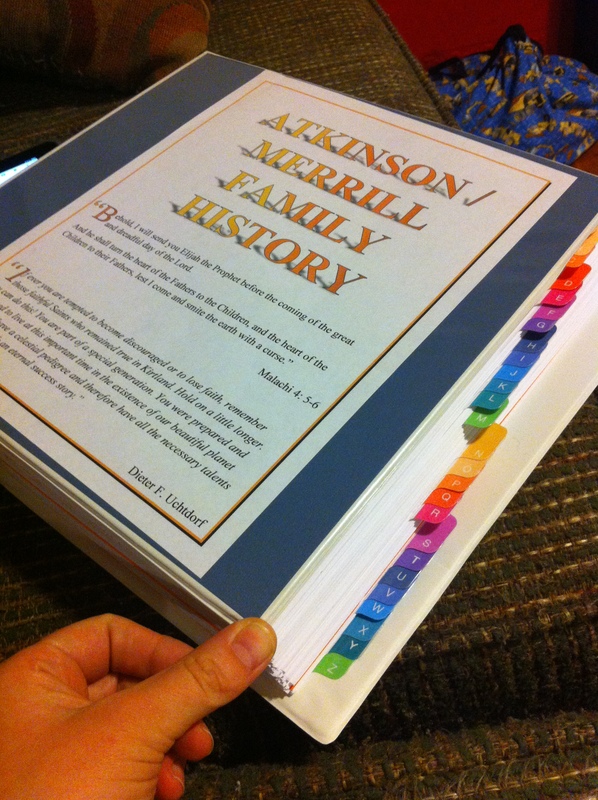 Among the most precious gifts I received this Christmas, is a binder full to burst of memoirs, testimonies, old photographs, life histories, etc. of ancestors from both sides of my family tree (up to my great, great, great grandparents). The gift was inspired and drawn from work my aunt Mardi did on my maternal line this past year; my angel mother added to and organized further research for each of her grown up children. Tonight, for Family Home Evening, we decided to read about my paternal great, great, great grandfather, Alfred Henry Atkinson, born in 1849. His parents were converts from England; his father the branch president at Middlesex. We learned that they sailed to America in 1855. My husband recalled to me that he had helped design a website at BYU called Mormon Migration about converts who voyaged to America. You can look up voyages by ancestor name, location, ship name, or dates. We quickly found our ancestors names listed among those who sailed on the Chimborazo from Liverpool to Philadelphia in 1855. I browsed through the different voyage accounts and read a few of them, including the account kept by the ship historian, Elder William G. Mills. I was touched by his account of the rapture the saints felt at leaving their homeland for a life full of promise, hearts so full they were singing. I was especially impressed by the hymn he wrote during the voyage. And owned this providential hand. That circumscribes us like a ring. We feel the power of ocean’s king. To gain all blessings from our Lord. Let it be heard from every lip. As I read on about Alfred and his wife, Mathilda’s lives, I marveled at how they took hardship in stride. They seem to have had no expectations that their lives would be free from trial, that their needs would be met. They took in so many people (at different times both of their mothers – They built an add-on to their home for Mathilda’s mother-in-law and her four young children when Alfred’s father died of cancer and in Mathilda’s own words: “There was never a cross word spoken between them” – not in all 19 of the years she lived with them before she passed away.) They probably thought their lives unremarkable, but I stand in awe of their patient acceptance of life as it came to them. There was little to romanticize about their lives but the way Mathilda writes and historian W.G. Mills writes…. it is just so obvious that they were grateful for every moment of joy and peace; they knew how to drink it in. They knew that life was beautiful. I am proud to know them, prouder still to be descended from them, and I yearn to know them better. So here’s the long and short of it. It’s been so long since I’ve posted here that I don’t even recognize the backend anymore (not saying its not totally slick, dear WordPress Gods; on the contrary), but I’m just feeling terribly shameful. So… since my husband is out of town, and I miss him, and he’s already asleep, and so is my baby, and because my heart is waxing sentimental this weekend from all the General Conference watching, I’m reaching out to you, dear followers. Are you still there? I’m graduating from Brigham Young University in 17 days. It makes my mind stagger like I’ve been hit over the head with a backpack full of bricks. After four long years, I’m finally achieving a dream. Maybe not all that big a deal to some people, but to me it is. I came to BYU right after getting married at the ripe old age of 20. Growing up in a culture where motherhood is highly valued (I’m a mormon), deciding to prioritize my education (not the only reason we waited to have a child) was more difficult for me than I had predicted. I was uncompromising (to myself) on the issue of whether or not I would finish my degree, and I yearned to have a child. These goals are not impossible to do simultaneously, but at that point in life I was not good at balancing major responsibilities, I knew that, and I feared neglecting one or the other, since both are so important to me. As it is, I learned to balance better and ended up finishing my last year of college after being blessed with our beautiful son. I wouldn’t have it any other way. Anyways, I have been writing super sentimentally, but my purpose in writing this post is that I feel like I should be sharing what I have learned with you dear friends. I have many ideas floating around in my head for things to write about. I hope you won’t hold consistency against me. I shall do my best. 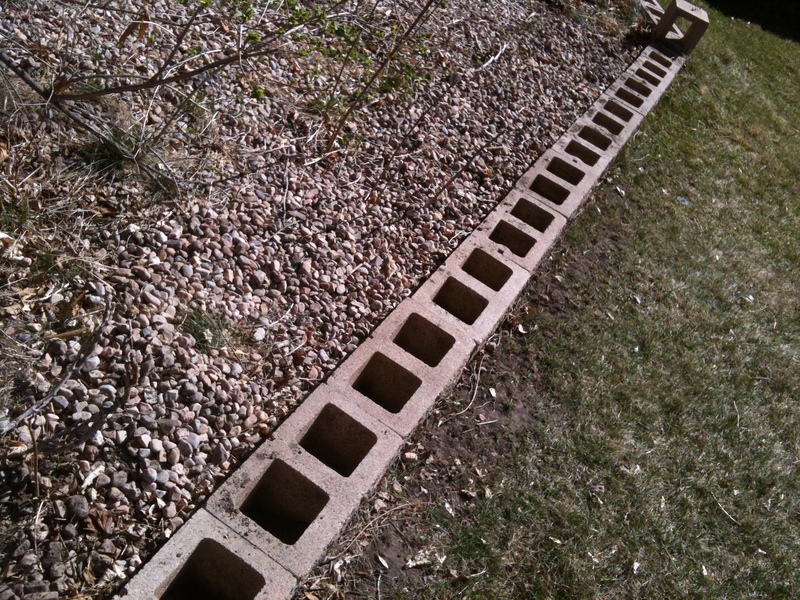 My next big project is our vegetable garden. I am so excited about this. Our current landlord has been gracious enough to grant us plenty of space to do so, and has even scheduled trimmers to take out a few trees to enable more sun and beautify the space a bit. As for the vegetables, I will be learning as I go. I’ve only done a little gardening with a lot of help and guidance from a master gardener, our previous landlord and friend, Chauncey Riddle. I’m really planning on trying a lot of stuff and just seeing what works. 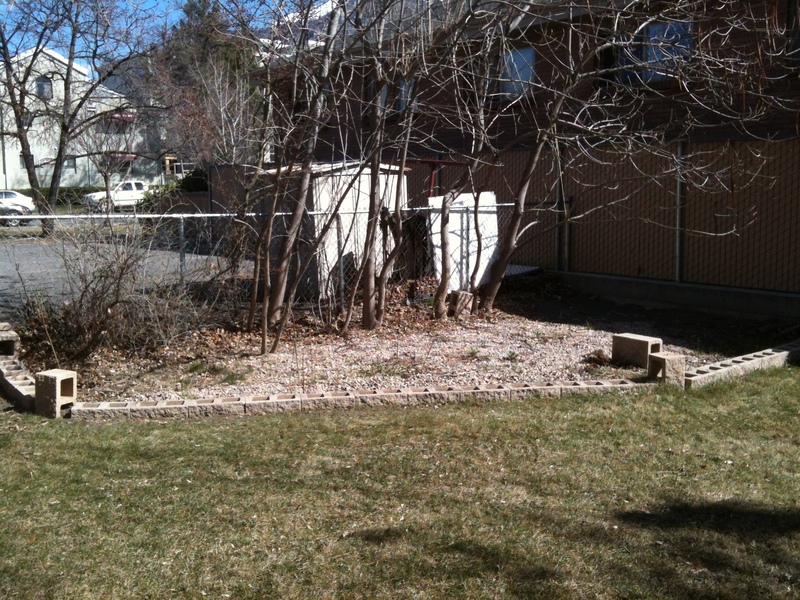 (Above) This plot is in the southeast corner of our backyard. It won’t get a ton of sun, but I’m hoping it’ll be enough to plant pumpkins, squash, zuchinni, and cucumber. We’ve cleaned it up considerably since this photo was taken (the trash there was presumably from previous tenants). 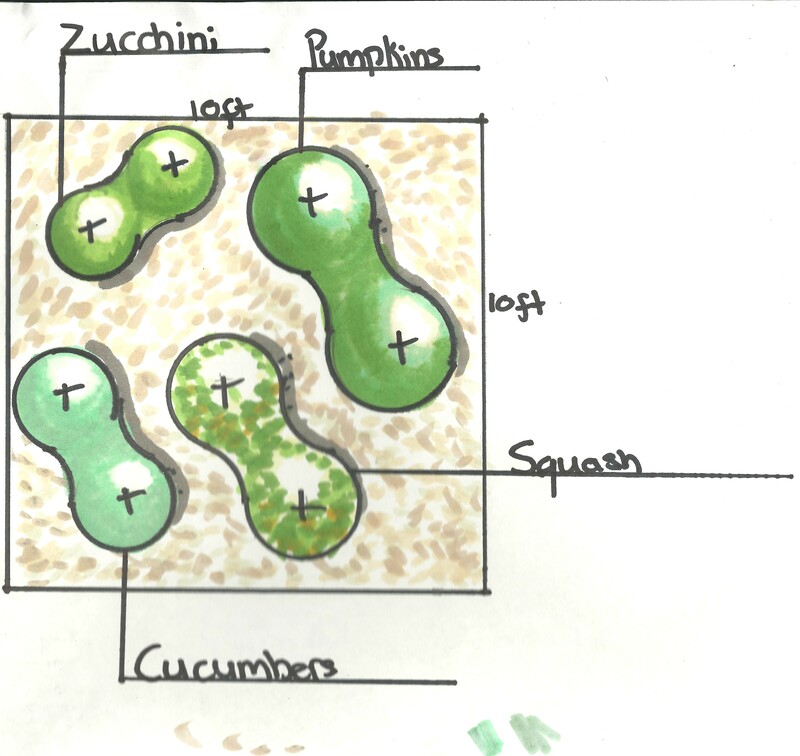 My sister, a horticulture major at BYU-I has designed a plan for the space (below). I haven’t yet told her that I think I want to put the lettuce over here somewhere too. Hey Traci – have you ever heard of doing cucumber on a trellis? Just an idea I ran into tonight that we could possibly try. 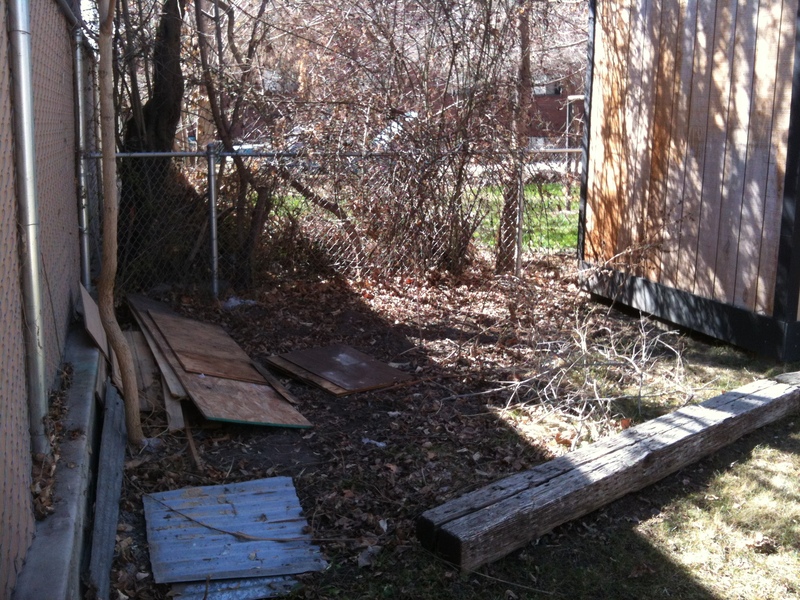 Below is the other plot in the northeast corner. It’s quite a bit larger and I think it will get almost full sun during the day. The trimmers are going to take out all those trees and we’re going to remove all the rocks and till and enrich the soil. 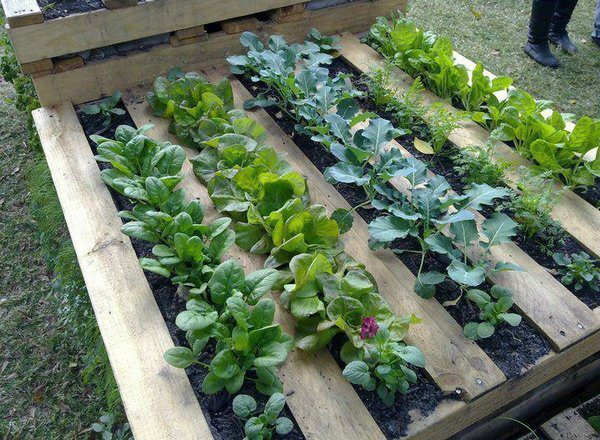 Here I would like to do onions, bell peppers, tomatoes, spinach, cantaloupe, watermelon, potatoes (grown in a tire), and strawberries (in a raised bed made from a recycled industrial wood pallet). Oh! and herbs in the cinderblocks (working with the space I’ve got). 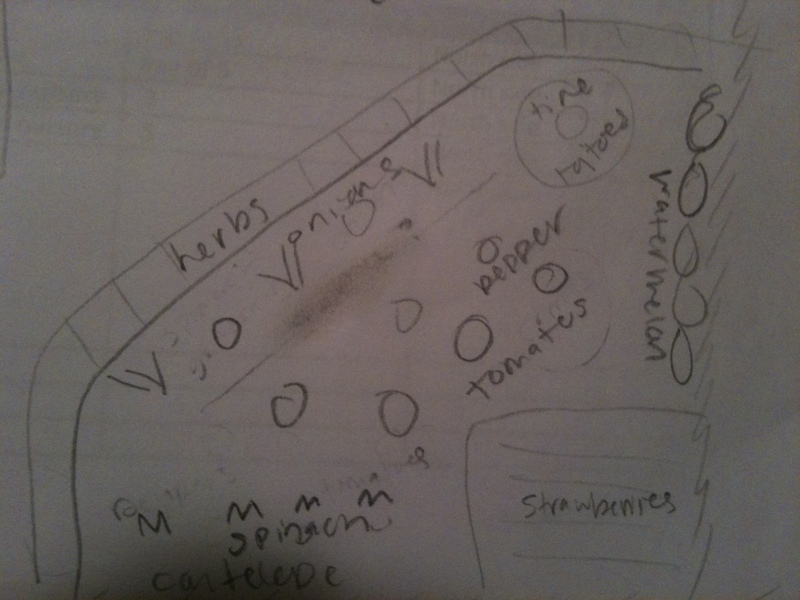 Below is a preliminary plan for the space, though I’m no artist or horticulturalist like my sister. Elsewhere in the yard I want to plant carrots in a big barrel. I found some at home depot for only $15 and saw instructions for how to do this here. Also, in another corner of the yard I want to build a green teepee (teepee on which vinning plants like green beans and sweet peas can grow) for Bracken and the kid downstairs to play in. They look super fun! My other sister, who lives nearby and is doing this project with me, has already begun several indoor starts. I’ve created a collection of links to ideas and advice for the garden here, on my diigo profile. I also visited our extension center to get advice from the master gardener, and I intend to go back or call again for more. That’s a good summary of what I’ve done so far I think. I can’t think what else I need to do cause it’s starting to get late, and I’m getting sleepy. I am super excited though.